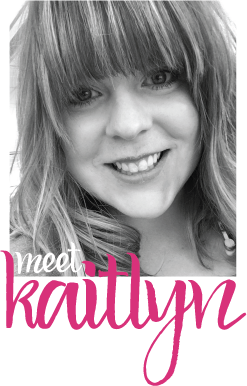 Welcome to Day 9 of the blog hop! Can you believe that we are almost done?!?!?! There have been some truly great projects shared. Today, I have my FAVORITE card I created to share with you. I just love everything about it! 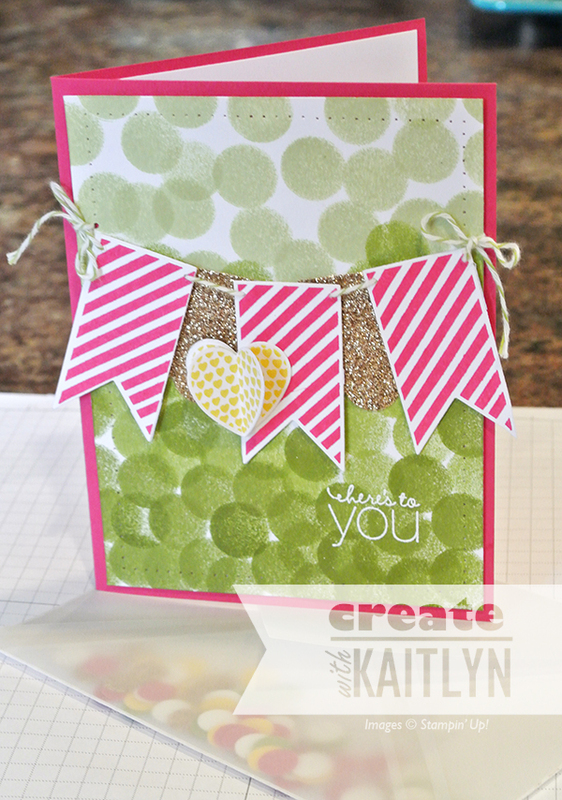 When I sat down to create this card, all I knew was that I wanted to create an ombre background. I decided to try using the Sponge Daubers and three shades of green: Old Olive, Lucky Limeade (I miss Lucky Limeade, it's my favorite), and Certainly Celery. I started with Old Olive at the bottom and worked my way up. I LOVE how it turned out! Once finished, the background had a confetti feel to me. So I went with the idea of a party/celebratory card. The sentiment "Here's to You" from the Friendly Phrases stamp set (now retired) was perfect! To make this delicate sentiment really pop, I heat embossed it with Whisper White Embossing Powder. The banner is made from the Hearts a Flutter stamp set and coordinating Hearts a Flutter Framelits Dies. The Champagne Glimmer Paper adds to the celebratory feel and is a nice break from the Silver Glimmer Paper that is my go to. Also, I stamped and cut out three of the heart images, so I could give the heart some dimension. The best part of this card is the envelope! 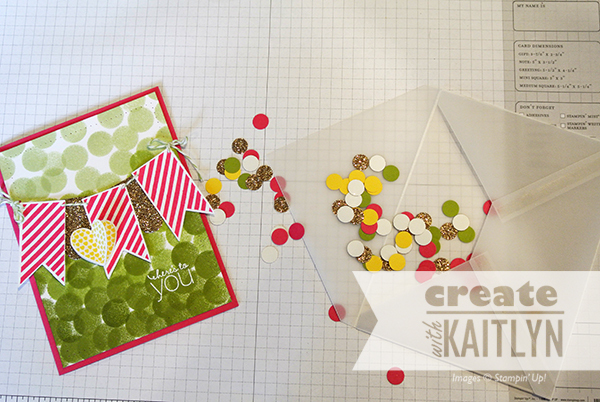 Again, the background felt like confetti to me, so I decide to make a confetti envelope to go with the card. I made the envelope out of Vellum CS so you could see the confetti inside. 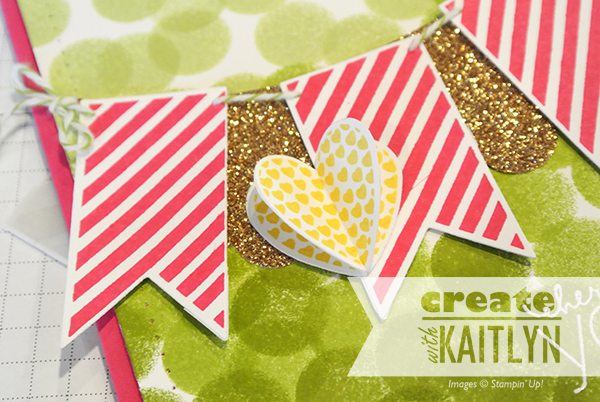 The confetti is made using the circle punch from the Itty Bitty Shapes Punch Pack and scraps of coordinating card-stock. This provides such a fun element to the card! 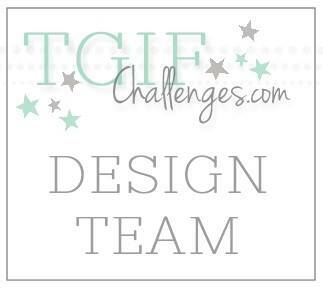 Be sure to check out the other finalist's projects by clicking the "Next" button below! 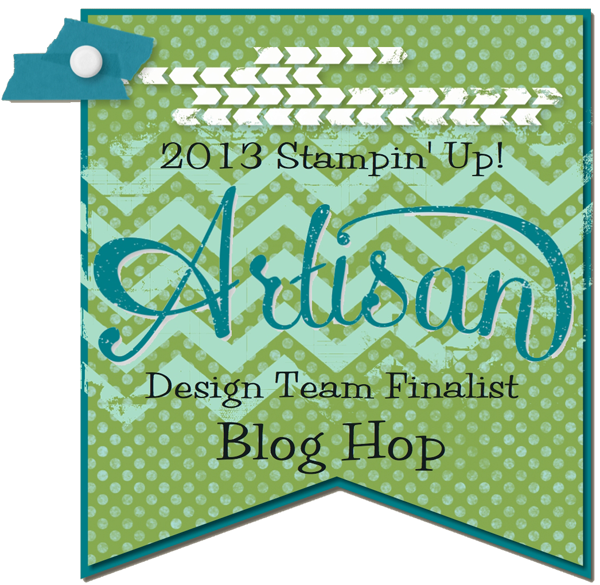 See you tomorrow for the last day of the blog hop! So cute :) and such a cute idea to make matching confetti! Love! This is so cute! Such a young and modernista approach to card making. Fun! It just makes me happy to look at it. This is such a fun card! I love the colors with the added splash of gold!!! What a fun and festive card! I love the ombre dots, and the confetti envelope is adorable. Oh, this is so, so cute! I love the confetti envelope-super fun!